45 theologians addressed to the Dean of the College of Cardinals, Cardinal Angelo Sodano, a critical analysis of the post-synodal exhortation Amoris laetitia. 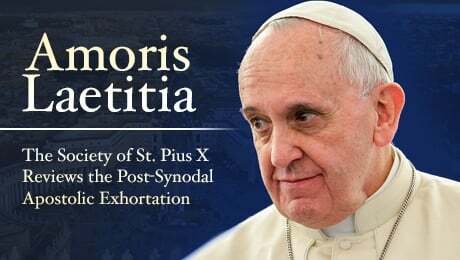 On June 29, 2016, 45 theologians from all over the world addressed to the Dean of the College of Cardinals, Cardinal Angelo Sodano, a critical analysis of the post-synodal exhortation Amoris laetitia in which they condemn 19 statements in this Papal document. Their critique has appeared on a number of English-language websites. Here is the English version of the letter to Cardinal Sodano and the names of the 45 signatories. As Catholic theologians and philosophers, church historians and pastors of souls, we are writing to you in your capacity as Dean of the College of Cardinals to request that the College of Cardinals and the Patriarchs of the Catholic Church take collective action to respond to the dangers to Catholic faith and morals posed by the apostolic exhortation Amoris laetitia issued by Pope Francis on March 19th 2016. This apostolic exhortation contains a number of statements that can be understood in a sense that is contrary to Catholic faith and morals. We have specified the nature and degree of the errors that could be attributed to Amoris laetitia in the accompanying document. We request that the Cardinals and Patriarchs petition the Holy Father to condemn the errors listed in the document in a definitive and final manner, and to authoritatively state that Amoris laetitiadoes not require any of them to be believed or considered as possibly true. For the convenience of the Patriarchs and members of the College of Cardinals, we shall send each of them a copy of this letter and its accompanying document. Rev. Stephen Morgan DPhil (Oxon). Adjunct research fellow, University of New England, NSW, Australia. Vice-Rector of the Leopoldinum seminary and lecturer in moral theology at the Phil.-Theol.